We Will help your etsy Store, product get more traffic from USA ! I will help you get shoppers or customers for your etsy store. 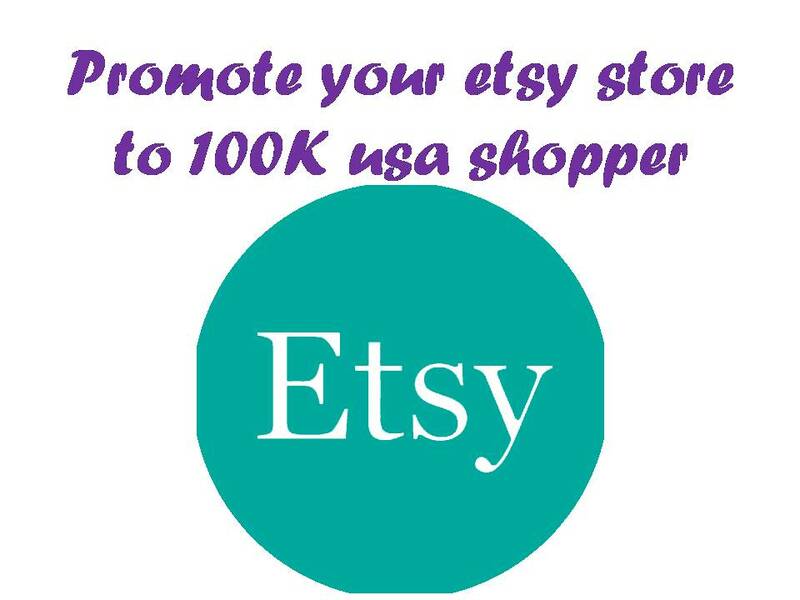 I will promote your store in different US etsy shoppers groups.More than 100K US shoppers can see your webstore. We will also post it in Our etsy promotion blogs and sites. You will also get Optimization in different social media sites. promote your ETSY store shop or product webstore to 100K usa shopper is ranked 5 out of 5. Based on 11 user reviews.